Do not miss the unique opportunity to master the latest trends in social media with the help of Obama's web guru! Get your ticket today and prepare for the best year ahead! Timings: Registration and coffee will be at 08.00. The event will commence at 09.00 and conclude at 16.30 with appropriate breaks for refreshments. • To Blog Or Not The Blog – That Is The Question! • Social Networking And Web 2.0: What Is Their Value To PR? Do you have any specific social media topic that you would like Scott to cover at the event? Write to kosta.petrov@thepworld.com and we will make sure Scott includes it in his presentation! 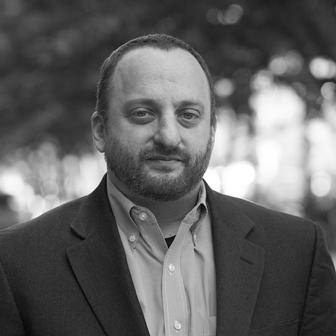 Scott Goodstein was External Online Director for Obama for America, and developed the campaign’s social networking platforms. He was responsible for developing the Obama campaign's revolutionary social networking platforms. His pioneering work included running the first political campaign to launch niche based social networks like BlackPlanet, Eons, MiGente, AsianAve, and Disaboom. He built the campaign's lifestyle marketing strategy and developed the "street team", materials used in battleground states. Scott also created and implemented Obama Mobile, an advanced communication strategy that included text messaging, downloads, interactive voice response communication, a mobile web site (WAP), and even an iPhone application. Prior to his work for Obama, Scott worked for the Democratic Legislative Campaign Committee, the Democratic Congressional Campaign Committee and has managed over a dozen political campaigns. Scott loves mixing music, culture and politics.He was the co-founder of Punkvoter.com and Rock Against Bush efforts in 2004 which became a $4 million young voter mobilisation effort. He has conducted political training for the National Democratic Institute, UNICEF, Democracy for America, the Campaign Management Institute, and the New Organising Institute.